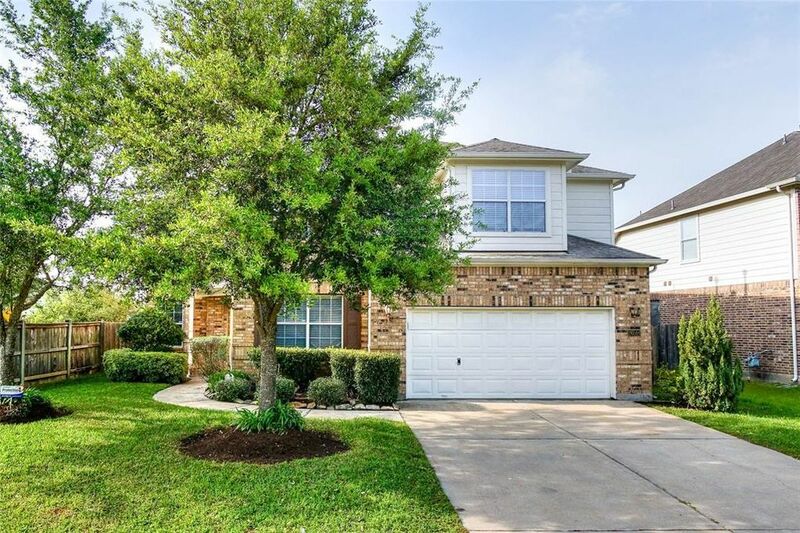 Must see 4 bed 3.5 bath home situated on a corner lot! Upon entry you are greeted by both an elegant dining room & a set of French doors leading into a large executive study! After passing through the entryway you come to a beautiful family room featuring hardwood laminate floors, a cozy corner fireplace, a soaring two-story ceiling & windows that shower the space in natural sunlight! Creating your favorite recipes is a real treat in the lovely island kitchen equipped with tile floors/backsplash, granite countertops, stainless steel appliances & cabinets that provide ample storage space! In the evenings, withdraw to the spacious master suite complete with bay windows & a luxurious bathroom showcasing a walk-in closet, double sinks, tile floors, a whirlpool soaking tub & a walk-in shower! The 2nd floor houses a massive game room, a media room & all three secondary bedrooms! The home also has a backyard with an open patio & plenty of green space for outdoor activities! Don't miss out! Directions: TX-99 S, exit Cinco Ranch Blvd, (R) on Cinco Ranch Blvd, (R) on Spring Green Blvd, (L) on Pine Mill Ranch Dr, (R) on Pine Mill Landing Ln, (R) Clear Mill Ln, Home is on the left.